Comments: Is semi-evergreen to evergreen with tiny leaves, and small pink flowers buds that open into tiny white flowers. Has a long blooming period. 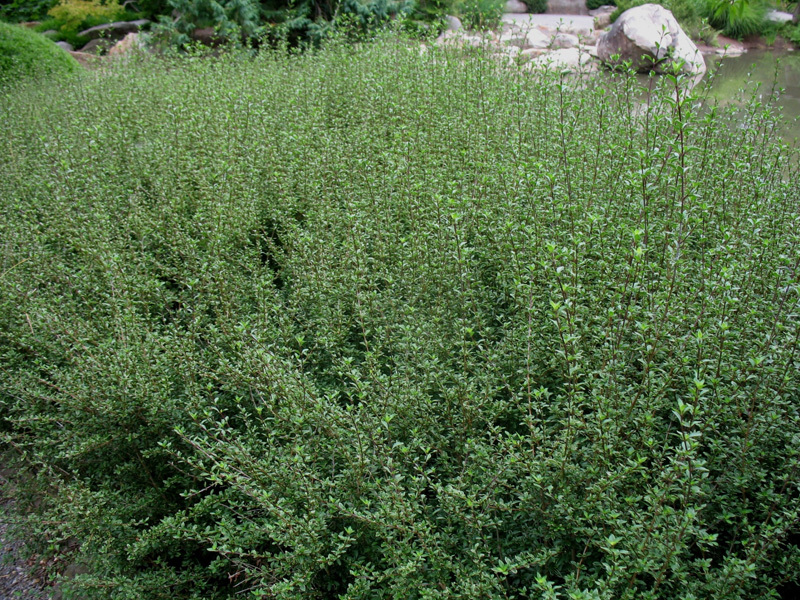 Grown in containers and is used in foundation and group plantings and as a hedge. Used in as a bonsai but leaf drop a problem.